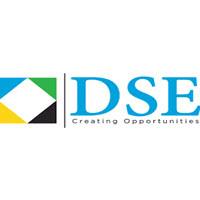 The Dar es Salaam Stock Exchange PLC (DSE) was established in 1996 as a company limited by guarantee without share capital. DSE changed to a company limited by shares and was self-listed in July 2016. The principal activity of the DSE is, among others, to provide a platform for trading, settlement and depository of listed securities and facilitate companies to raise capital via issuance of shares and bonds. All interested candidates are required to apply by attaching to their application: current curriculum vitae (CV), copies of academic certificates, full addresses including contact phone number, email address and two reference letters from referees who can testify to the applicant academic abilities, working experience and character. Deadline for applications is on 7th September, 2018 Only short-listed candidates will be contacted for interview.